Thread: Opinion on Casio watches? Re: Opinion on Casio watches? One of my favorites. Six years and going strong through all the beatings. Drumguy4all, yankeexpress, teatimecrumpet and 2 others like this. 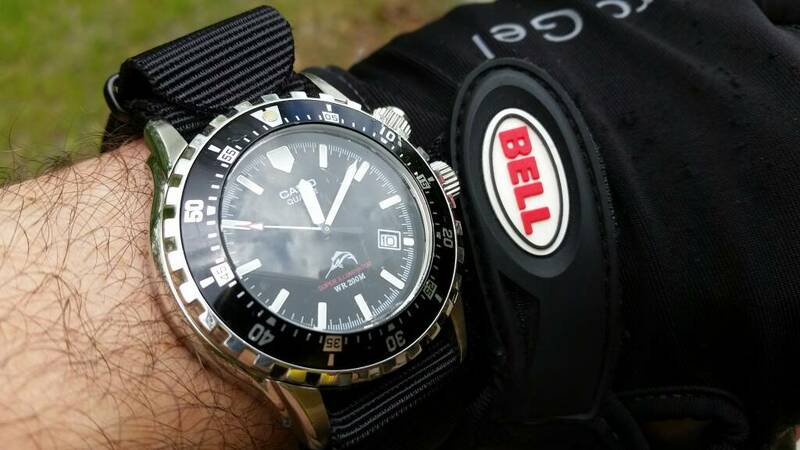 Great watches......value for money and rugged too................only problem is that the feature packed Casio models have 'too large' dimensions............(not comparing with dress watches but even hefty divers). Last edited by umarrajs; September 20th, 2015 at 18:56. Years ago I used to be a fan, but now they are too big for my tastes and I'm no longer a fan of digital watches. Overall a good beater watch. G's pack tons of features and are undeniably practical regardless what one thinks of their aesthetics. You, sir, have not been paying attention! Not sure why you replied to this thread, because your knowledge of Casio is stale. And even older Casio were analog and robust. Last edited by yankeexpress; September 20th, 2015 at 06:58.
umarrajs and rvr06 like this. The PRW-2500 has solar charging and atomic time sync, triple sensor barometer, altimeter, thermometer, compass, barograph, tides, moon phase, multiple alarms, etc. This one is the JDM version with Sapphire crystal and Carbon Fiber strap model PRW-S2500MG that comes with a Mini-Maglite flashlight. Last edited by yankeexpress; September 20th, 2015 at 07:07.
teatimecrumpet and umarrajs like this. Having used, and broken, Timex, Seiko, Citizen, etc. have come to the conclusion that Casio make the most reliable and robust watches in the world. Last edited by yankeexpress; September 20th, 2015 at 07:18. Casio make great reliable watches. I have the titanium prw2500 and and the edifice line is nice too. I do love their older divers and wish they'd revive those. Really beautiful pieces and I'd be all over them. Still a solid brand with solid offerings. But since almost all their watches are quartz really not competing with the swiss and not any better than the japanese brands for quartz analog. They really shine for quartz digital and multifunction. Need opinion on two watches?